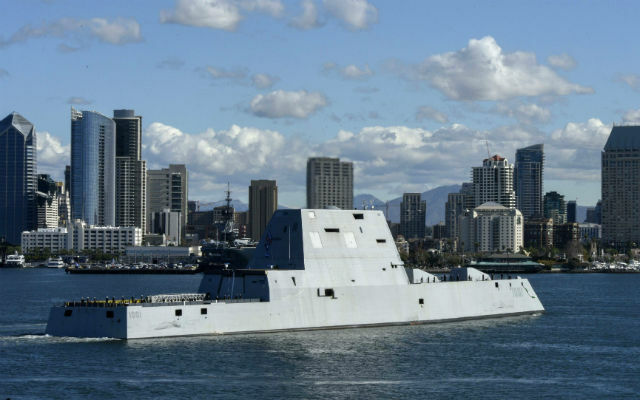 The Navy will commission its newest destroyer, the USS Michael Monsoor, on Saturday at Naval Air Station North Island, San Diego, where the ship will be homeported. 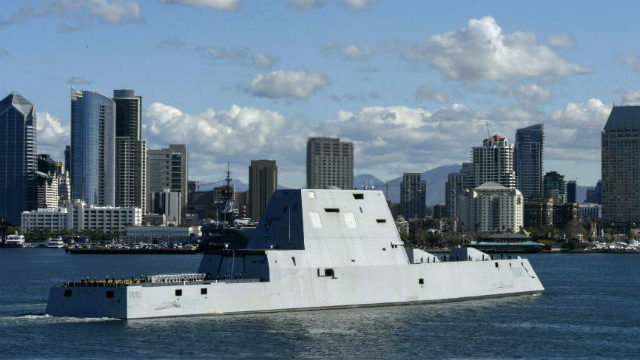 The second ship in the futuristic Zumwalt-class of destroyers, DDG-1001 is named in honor of Medal of Honor recipient Michael A. Monsoor, a Navy SEAL who was posthumously awarded the Medal of Honor for his heroic actions in Ramadi, Iraq, on Sept. 29, 2006. On Sept. 29, 2006, in Ar Ramadi, Iraq, Monsoor was part of a sniper overwatch security position with two other SEALs and several Iraqi Army soldiers when an insurgent closed in and threw a fragmentation grenade into the position. The grenade hit Monsoor in the chest before falling to the ground. Positioned next to the single exit, Monsoor was the only one who could have escaped harm. Instead he dropped onto the grenade, smothering it to protect his teammates. The grenade detonated as he came down on top of it, inflicting a mortal wound. The future USS Michael Monsoor includes new technologies and will serve as a multi-mission platform capable of operating as an integral part of naval, joint or combined maritime forces. The Zumwalt-class fields a larger flight deck and has capacity for two MH-60R helicopters and three drones to execute a wider array of surface, aviation, and undersea missions that deliver more manpower, firepower, and computing power to the fight. The future USS Michael Monsoor’s Vertical Launch System (VLS) features cells physically larger than similar cells on today’s ships, allowing this class to fire larger and more advanced land and anti-ship missiles in the future. The commissioning ceremony can be viewed on the Navy Live blog at http://navylive.dodlive.mil.